Last week, Utah Congresswoman Mia Love joined Reps. Simpson (R-ID), Beyer (D-VA), and Polis (D-CO) in co-sponsoring the Recreation Not Red-Tape Act (H.R 3400). 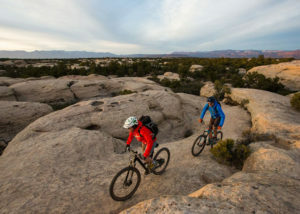 The bill, a bipartisan effort from Utah Congressman Rob Bishop, aims to preserve access to public lands and waters and encourages outdoor recreation opportunities, giving communities an economic boost. Oregon’s Senator Ron Wyden (D-OR) has introduced an identical companion (S. 1633) bill in the U.S. Senate. The Recreation Not Red-Tape Act will streamline permits for recreation guides and outfitters, establish a system of National Recreation Areas that are protected and managed primarily for the recreational, social, and health benefits people receive through outdoor recreation improve access to outdoor recreation opportunities and programs for veterans and service members, add recreation to the mission of the Army Corps of Engineers, Bureau of Reclamation, Federal Energy Regulatory Commission, and the Department of Transportation, and establishes a pilot program for interagency trail management for trails that cross agency jurisdictional boundaries to ensure trails are maintained. The Recreation Not Red-Tape Act comes after the success of the Outdoor Recreation Jobs and Economic Impact Act of 2016, more commonly known as the Rec Act. The bill, which successfully passed Congress last year, directed that the outdoor recreation economy be counted as part of the United States’ GDP. 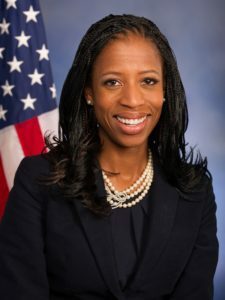 Public land Solutions thanks Rep. Love for supporting the Recreation Not Red-Tape Act, and we’ll continue pushing Congress to improve and important the important legislation that is key to recreation opportunities and the recreation economy.